Experience a night of music with Reggie Graves & Jazz Theory as they keep you grooving with to sounds of smooth jazz and soul. 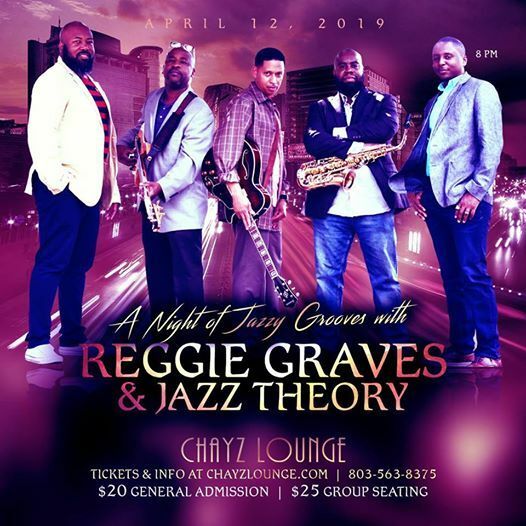 Influenced by music from the 70s, 80s & 90s, this band has the tunes to take you on the best musical journey... From the smooth sounds of George Benson and Al Jarreau, to the classic songs of Stevie Wonder, Michael Jackson, Prince and other favorites. This is a show you are sure to love!. Seats are limited so get your tickets early! * General Admission: Guarantee access to any seat that is not assigned to groups. However, there is no guarantee that parties arriving together will be seated together; therefore we suggest arriving early. * Group Seating: Guarantees seating for parties of 3 or 4 at the same table. If tickets are purchased separately or you are joining another party, please notify us at aW5mbyB8IGNoYXl6bG91bmdlICEgY29t so we can arrange to hold the seats. * Large Parties: For parties of 5 or more, we will do our best to arrange seating at the same table. 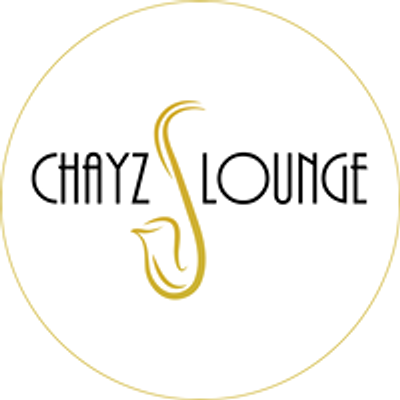 However, because of the intimate setting of Chayz Lounge, there are limitations. Please email aW5mbyB8IGNoYXl6bG91bmdlICEgY29t to make arrangement.